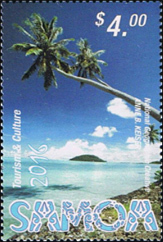 Welcome to the South Pacific Islands—including the Cook Islands, Aitutaki, Penrhyn, Rarotonga, Tonga, Niuafo'ou and Samoa. 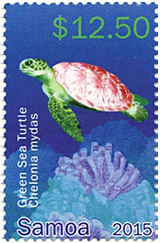 Instead of wishing we were there, we can enjoy visiting these wonderful islands through their colorful stamps. 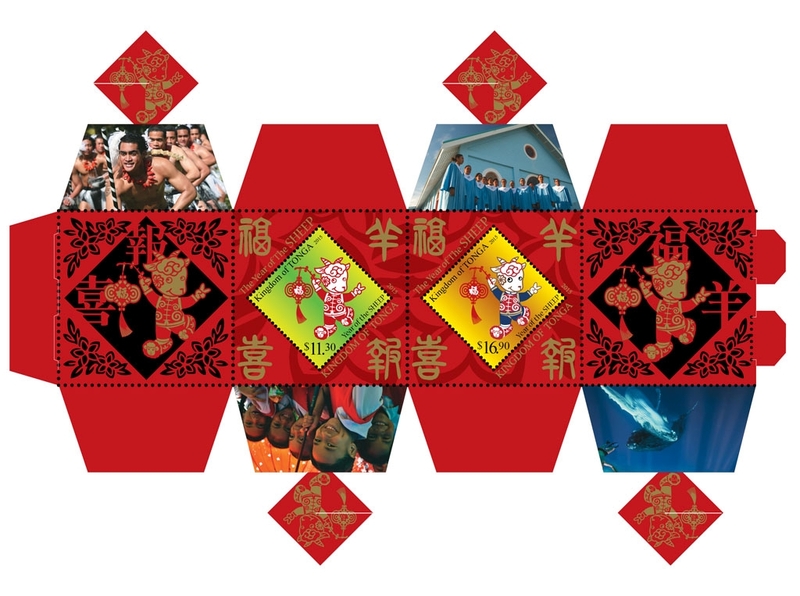 While the word may not be familiar to most people outside of Asia, the South Pacific nation of Tonga has released this souvenir sheet that will match up the unfamiliar name with the familiar style known as cheongsam. The souvenir sheet shows the development of the outfits from early, loose-fitting style to modern form-fitting dresses that are extremely popular not only with the Chinese woman but also with a widening worldwide population of non-Asians. 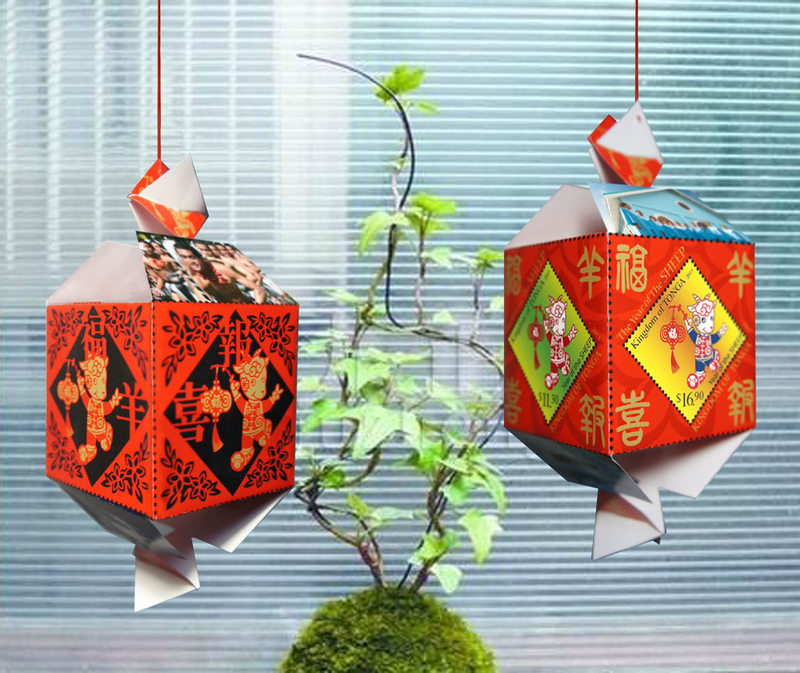 At https://en.wikipedia.org/wiki/Cheongsam, Wikipedia provides some in-depth information on the cheongsam fashion, as follows: . . . 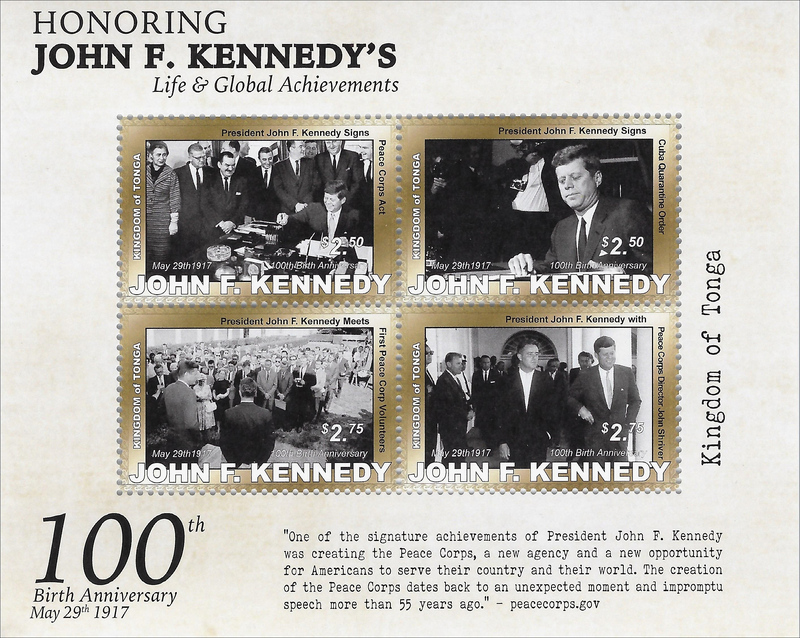 Under the leadership of Philatelic Collector, Inc., a group of popular nations of the South Pacific have joined together to commemorate the Birth Centennial of John F. Kennedy, with particular reference to some themes that would have affected the South Pacific region. 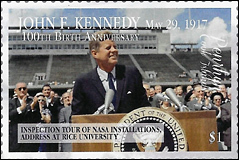 The 35th President of the United States, JFK was born on May 29, 1917. 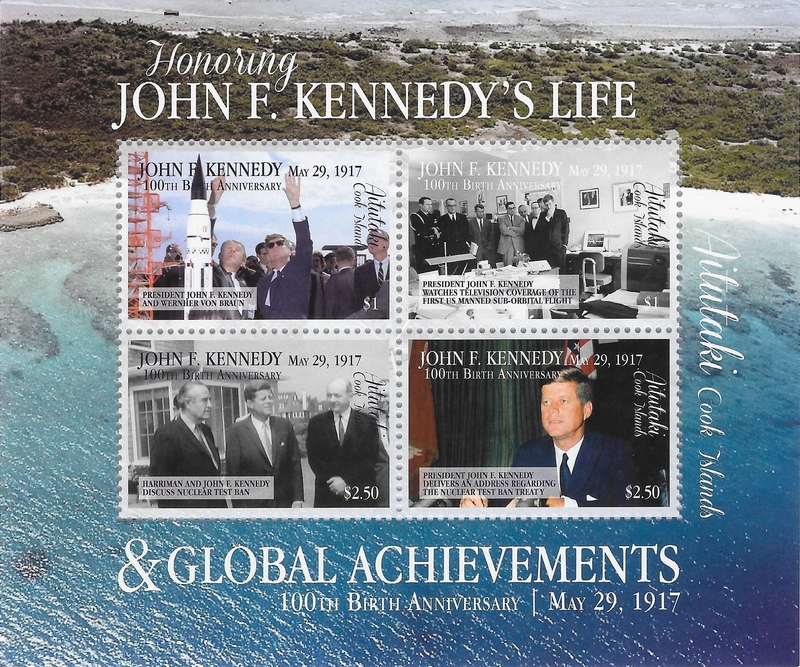 The Kingdom of Tonga stamps display photographs representing one of Kennedy’s well known achievements as President, the Peace Corps Act that has. . . Given the unusual and beautiful environment of the South Pacific, tourism is an important part of the nations in this region—and sustainable tourism has taken on critical importance as leaders recognize the need to preserve for future generations what we enjoy today. 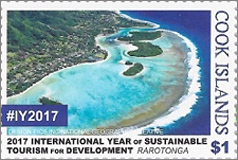 With this in mind, the U.N. General Assembly had designated 2017 as the International Year of Sustainable Tourism for Development, and under the leadership of Philatelic Collector, Inc., Tonga and the Cook Islands—two leading . 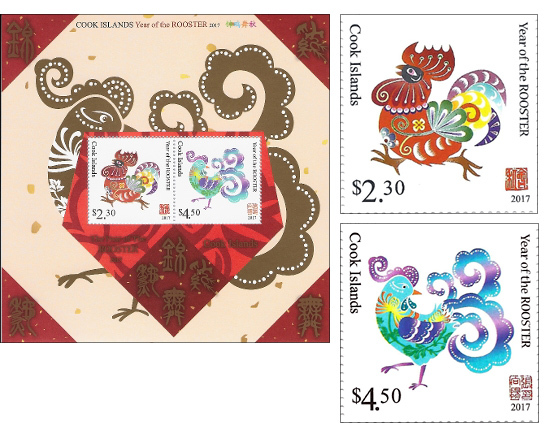 . .
To celebrate the Lunar New Year, several South Pacific nations combined to continue a Lunar New Year series that is as popular with worldwide collectors as it is with its native populations. 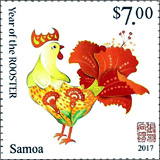 Orchestrated by Philatelic Collector Inc., the five post offices issuing Year of the Rooster stamps were Aitutaki, Cook Islands, Niuafo’ou, Penrhyn, Samoa and Tonga. 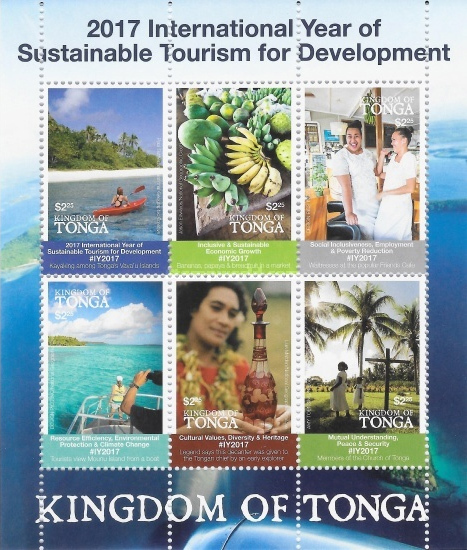 The most innovative is the 3D stamps from Tonga, shown on the attached link before and after folding to form the 3D issue. We show here a few . 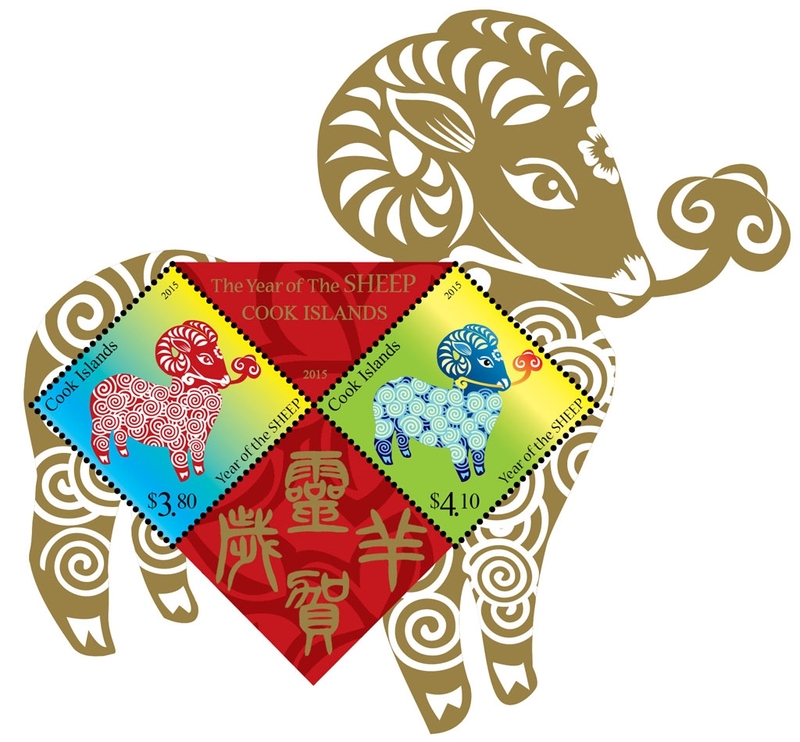 . .
Click to see Lunar New Year stamps from the: US Postal Service, Canada Post, and Inter-Governmental Philatelic Corporation (IGPC). The South Pacific is home to many fascinating species, including several that are threatened. 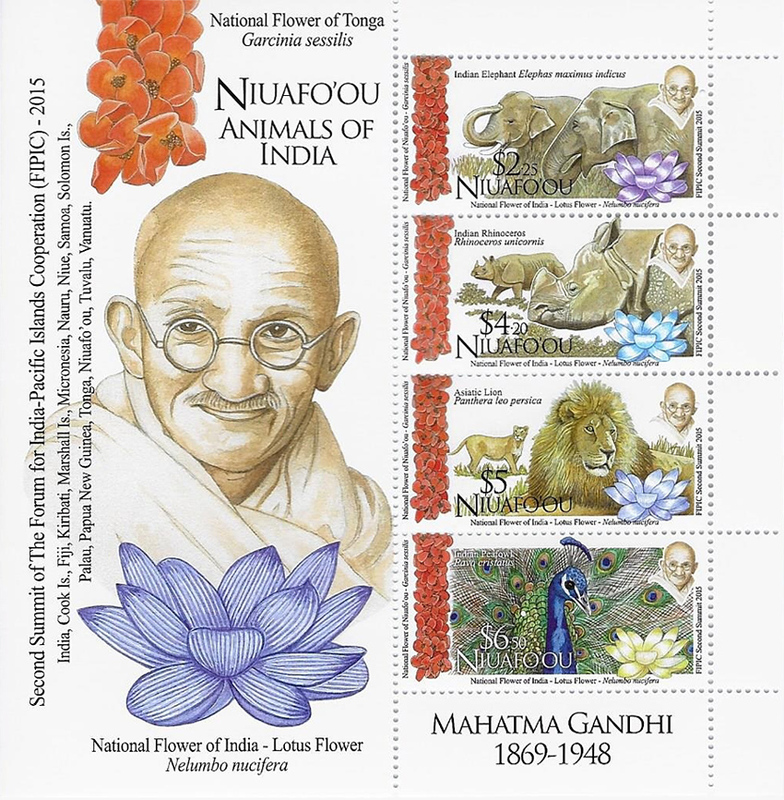 For that reason, under the leadership of Philatelic Collector, Inc., these nations are important and frequent participants in the World Wildlife Federation (WWF) program, which since 1983 has raised awareness of animal species that are threatened or endangered. 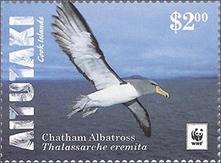 One outstanding example comes from Aitutaki, with a WWF sheetlet of eight stamps depicting the Chatham Albatross, which is classified as a . . . 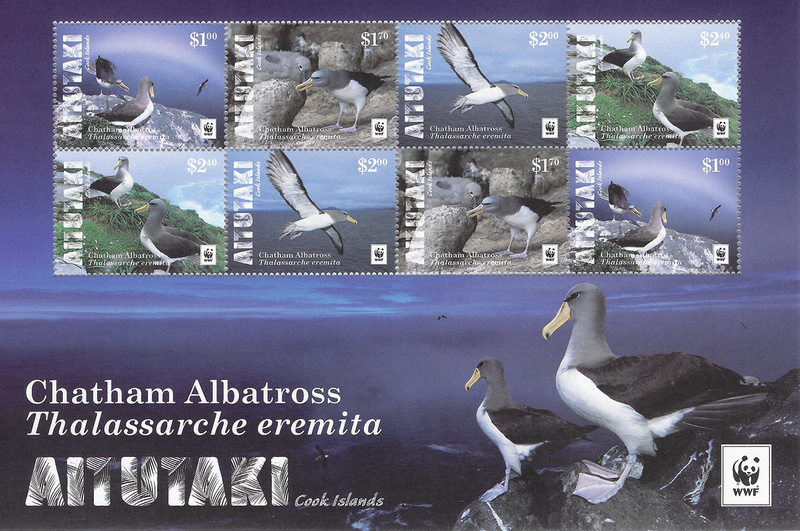 Under the leadership of Philatelic Collector, Inc., several South Pacific nations completed their 2016 Philatelic programs on a high note, with issues that were both beautiful and relevant, giving us a glimpse into life in these islands. 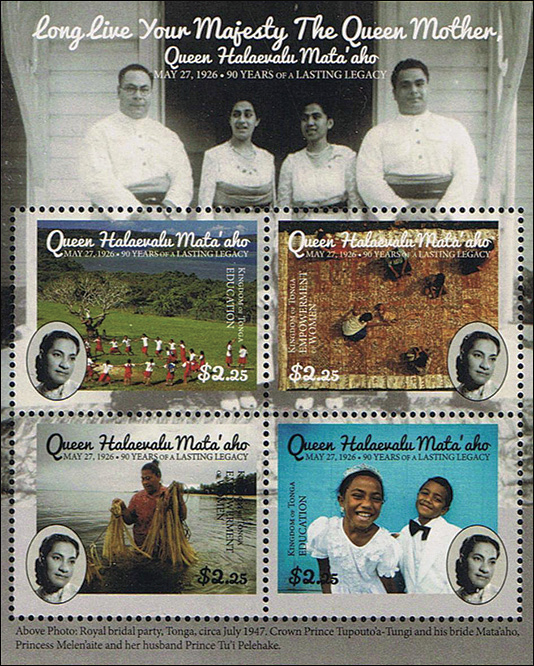 One such issue that exemplifies relevance is a “Queen Mother” issue—not one for the British Royal family but a souvenir sheet celebrating the . . . 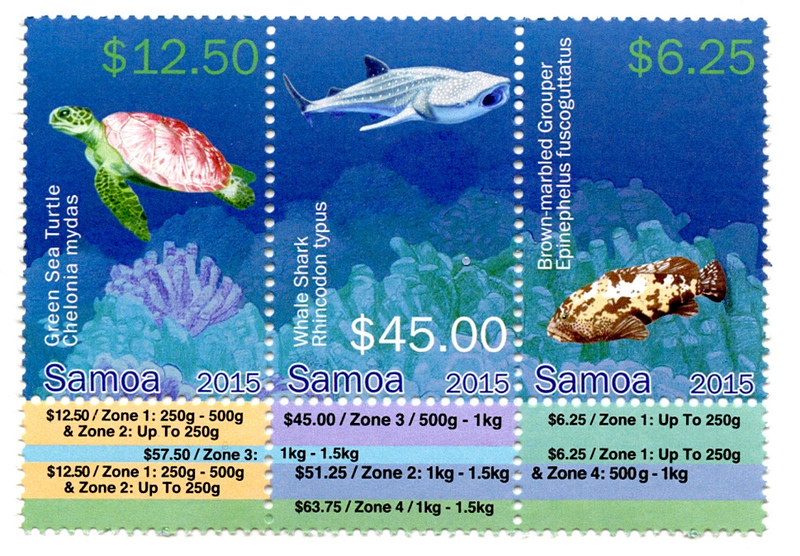 The Pacific Island nations of Cook Islands, Samoa and Tonga, all represented by Philatelic Collector, Inc. recently issued stamps celebrating their participation in the 2016 Olympics. 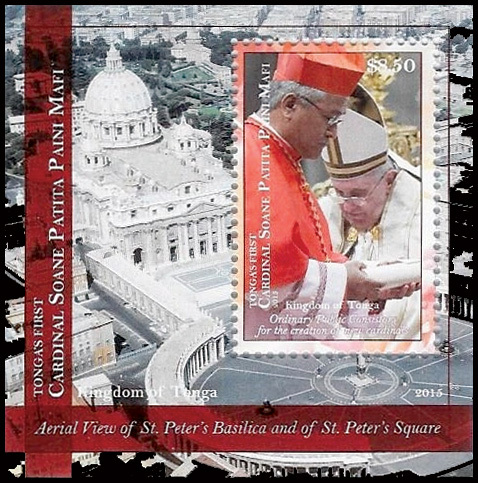 Shown here in mint condition, the stamps also are available canceled-to-order and on First Day Covers. 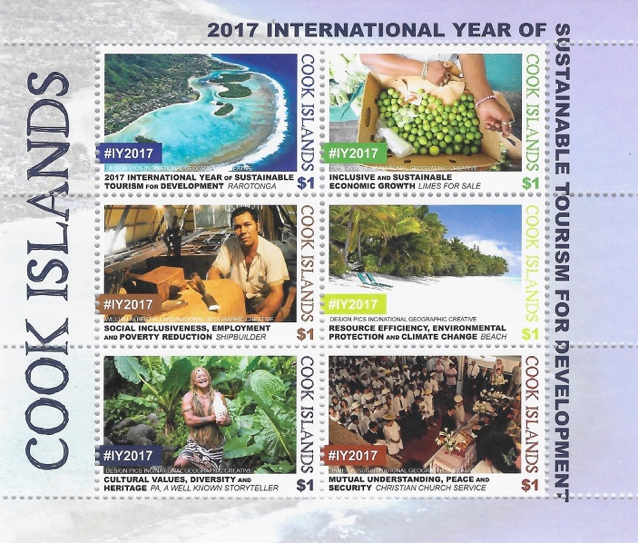 2016 marked the eighth Olympics for Cook Islands and the ninth for the other two. Cook Islands and Samoa athletes have yet to win an Olympic medal. Tonga has in the past, did not win any this year—but their taekwondo fighter, Pita Taufatofua, who led his delegation as the flag bearer in the opening ceremony, instantly became . 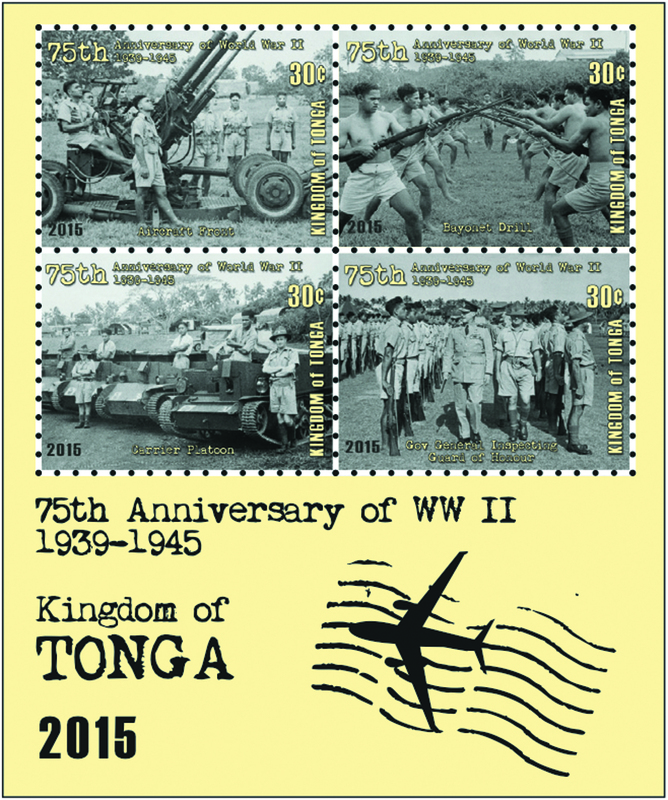 . .
On February 2 the Kingdom of Tonga joined the many nations who have commemorated the 100th Anniversary of World War I and the 75th Anniversary of World War II. 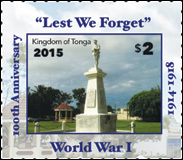 The WW I issue depicts the War Memorial that stands at Pangai Si`i, in Nuku`alofa (Tonga). The WW II issue utilizes archive photographs of soldiers during the various aspects of training in Tonga. 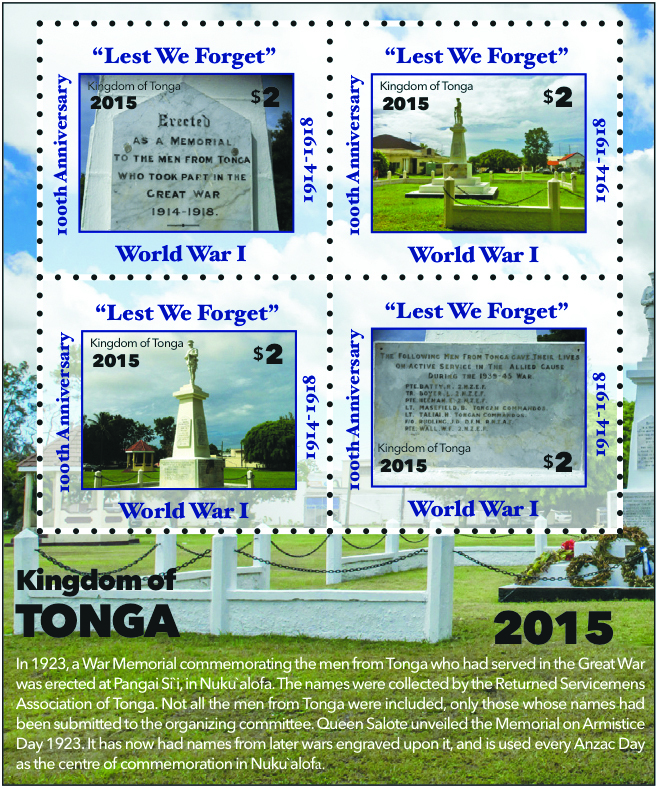 In 1923 the War Memorial commemorating the men from Tonga who had served in the Great War was erected. 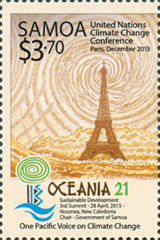 The names were collected by the Returned Servicemens Association of Tonga. . . .
Last November 3 the Pacific Island nation of Samoa issued a set of four singles and a souvenir sheet using the same designs to commemorate the 2015 Oceania 21 climate control conference that was held April 28-30 in New Caledonia. 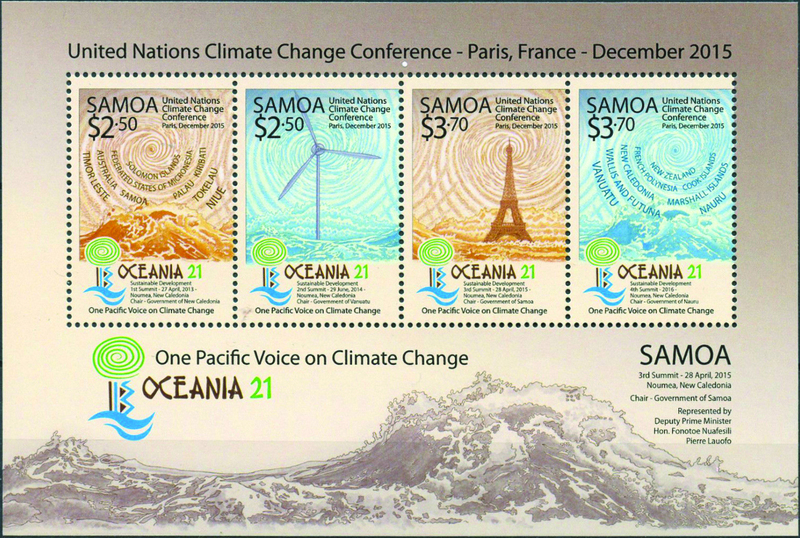 Samoa was responsible for holding the Chair position at that Summit, which resulted in the Lifou Declaration that calls upon the international community to save Oceania in the face of climate change. . . . 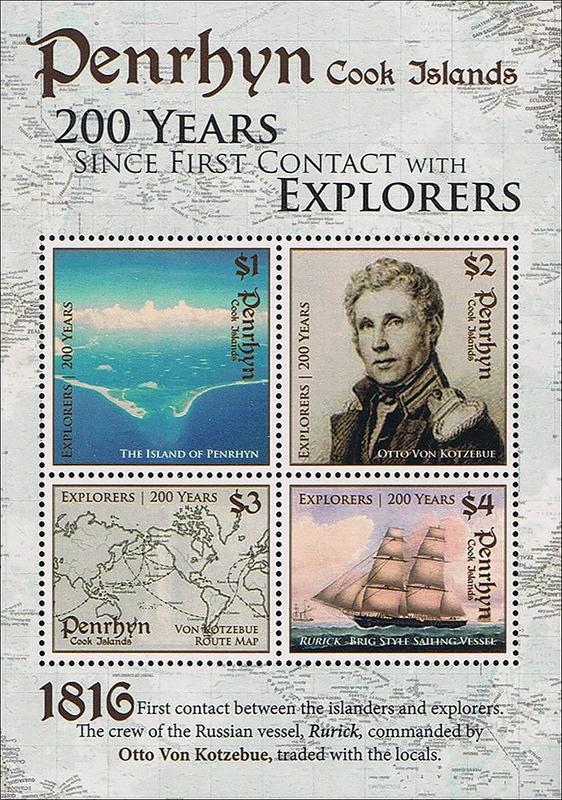 Earlier this year, the South Pacific island nations represented by Philatelic Collector, Inc. released an assortment of new issues that focused on the stunning environment of those distant lands. 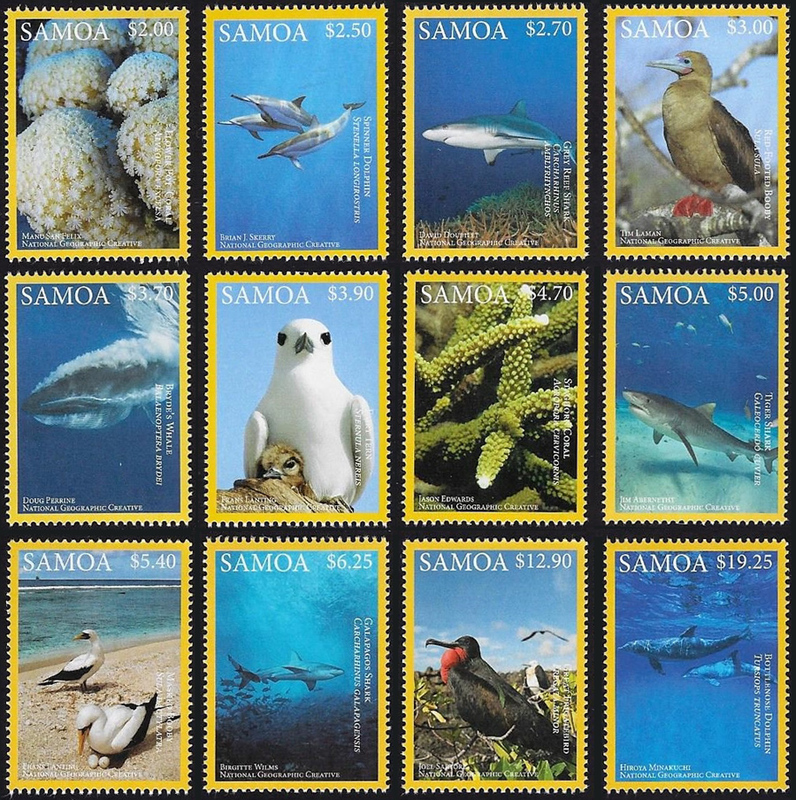 A sampling of these new issues include: Cook Islands: Night Skies, Niuafo'ou: World Wildlife Fund Black Petrel, Niuafo'ou: Animals of India, Rarotonga: World Wide Fund for Nature, and Samoa: Pacific Marine Life. 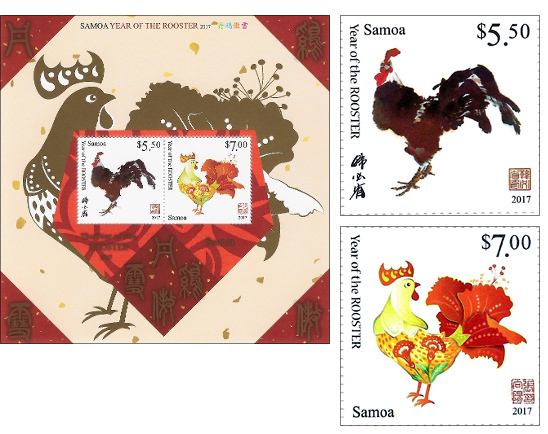 To celebrate the Lunar New Year, six South Pacific nations combined to create an imaginative set that includes five miniature sheets and a set of 3D stamps from Tonga, shown here before and after folding to form the 3D issue. 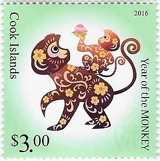 Orchestrated by Philatelic Collector Inc., the other five post offices issuing Year of the Monkey stamps on September 25, 2015 were . . . This past June marked the 800th Anniversary of the Magna Carta (Latin for "the Great Charter"). 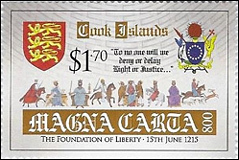 Also known as "the Great Charter of the Liberties", it is a charter that was agreed upon by King John of England at Runnymede, near Windsor, on June 15, 1215. Per Wikipedia, "First drafted by the Archbishop of Canterbury to make peace between the unpopular King and a group of rebel barons, it promised the protection of church rights, protection for the barons from illegal imprisonment, access to swift justice, and limitations on feudal payments to the Crown, to be implemented through a . . .
A recent visit to the South Pacific by way of the Philatelic Collector Inc. (PCI) “boutique philatelic agency” produced some interesting results. PCI represents the Cook Islands, Samoa, Tonga, and related island groups such as Rarotonga, Aitutaki, Penrhyn and Niuafo’ou. As might be expected one of the popular themes in this area is marine and animal life. 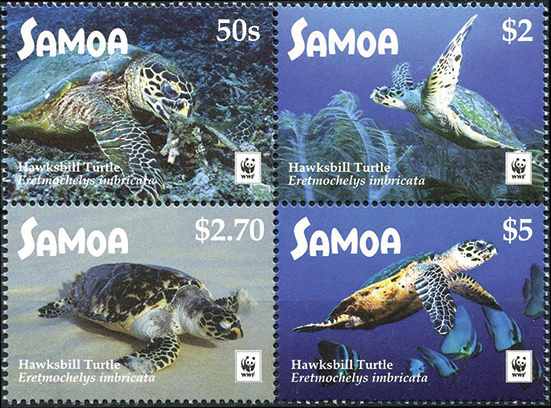 Earlier this year, in March, Samoa completed its Threatened Species series with this set of three high value stamps, designed by Mariya Karchevskaya. This part incorporates commonly used parcel rates in a unique fashion that allows each value to be used . . . The Kingdom of Tonga is made up of 177 islands scattered over 270,000 square miles in the southern Pacific Ocean. Its population of just over 100,000 people live on 52 of those islands, with some 70,000 Tongans residing on the main island of Tongatapu. 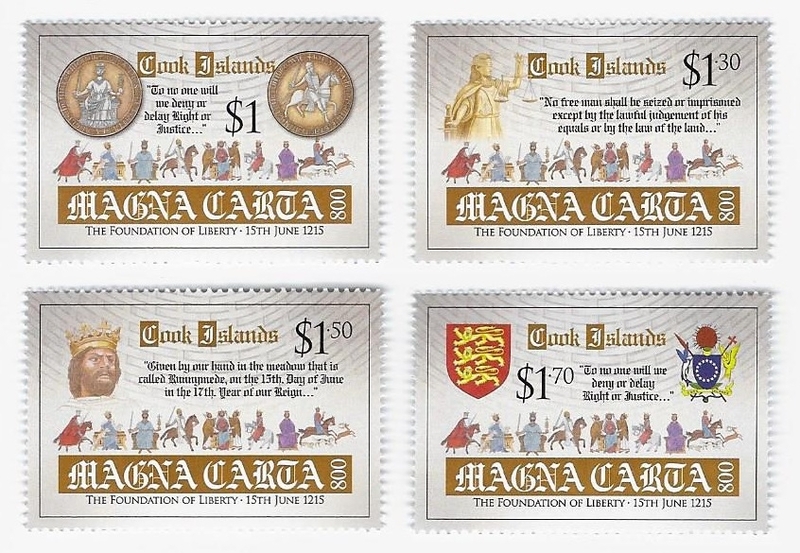 Also known as the Friendly Islands because of the friendly reception Captain James Cook received in 1773, Tonga also has won friends among postage stamp collectors for its often humorous, always interesting, new issues. 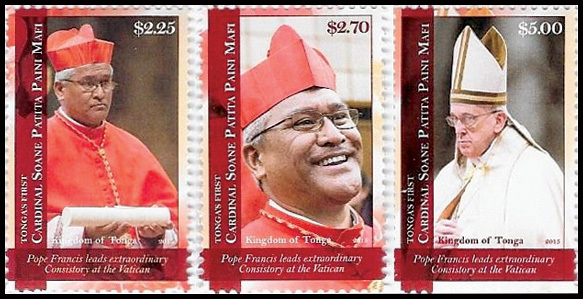 Cardinal Mafi — On April 1, 2015, the Kingdom of Tonga in the South Pacific celebrated the appointment of the Polynesian nation's first Cardinal. 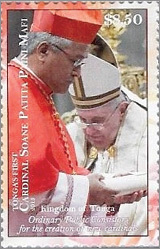 Soane Patita Paini Mafi, appointed by Pope Francis on February 14, 2015, not only became the first Cardinal from Tonga but also, as Cardinal Mafi, at 53, became the youngest member of the College of Cardinals. 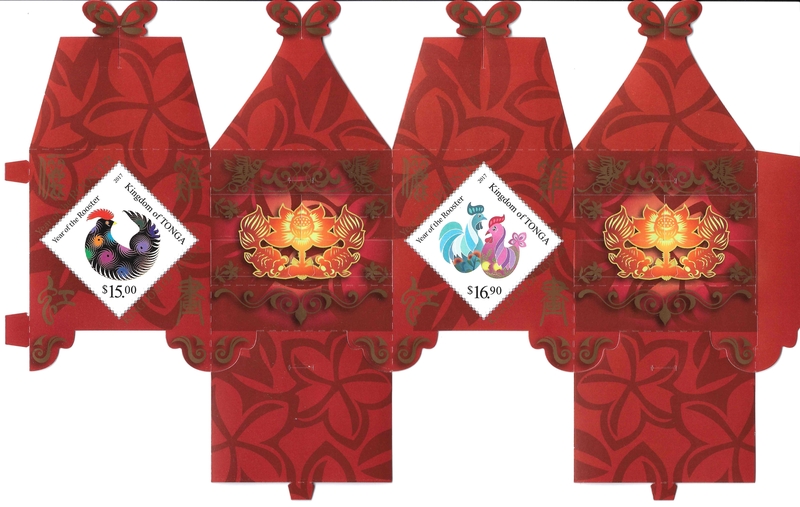 To celebrate the Lunar New Year, six South Pacific nations combined to create an imaginative set that includes five miniature sheets and the first ever set of 3D stamps, shown here with descriptions from the designers. 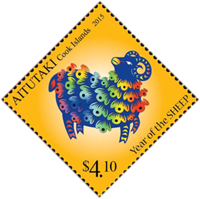 Aitutaki: The main graphic of this two-stamp mini-sheet is the full combination of different characteristics of zodiac sheep, such as being wise, intelligent, honest and reliable. 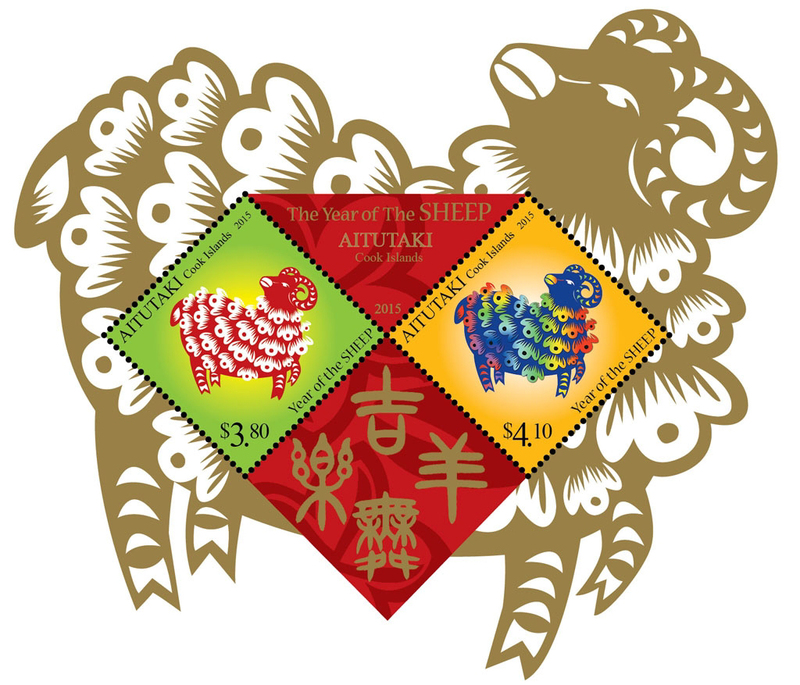 Although the sheep on the stamp is described as "quite plump," it does not seem sluggish or silly looking. The action of the sheep standing stably on earth demonstrates its. . .